HDC provide temporary vascular access for hemodialysis until a permanent access is available or until another type of dialysis therapy is substituted. 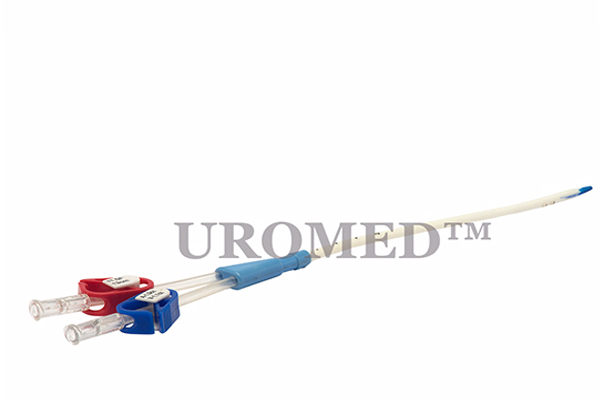 The multiple lumen catheters contain two large bore lumen that are connected to the dialysis machine to form a complete circuit for the removal and return of the patient�s blood during treatment. The intra-catheters are intended for percutaneous introduction using the Seldinger Technique. The catheter can be changed using the existing puncture. It is extremely smooth and has a non-thrombogenic, surface Thermosensitive, softens as it warms to body, temperature. Smooth inside and outside surface, avoid clot formation. Radiopaque, facilitates quick visualization under X-Ray.